Three shouts. 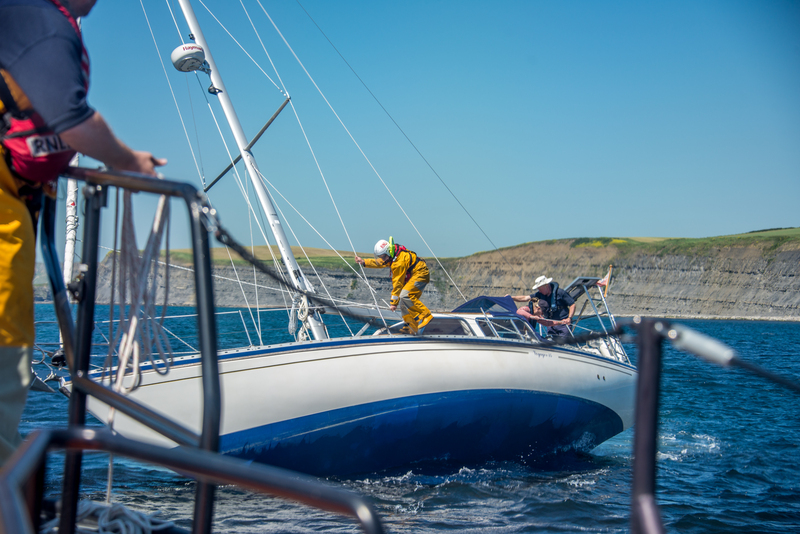 The Swanage ALB Lifeboat was tasked again today at lunch time to assist a sailing vessel that had gone aground on the Kimmeridge Ledges with a falling tide so things would only get worse for the vessel. This was the third time the Lifeboat crew had been out in under 24 hours. Having managed to get a crewman aboard the sailing vessel progress could be made to help resolve the situation.